When Sarah was at school, she loved to hear about tales of explorers and their adventures and expeditions. 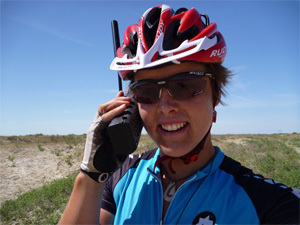 But now you can join Sarah right in the middle of her expedition LIVE from the road or the ocean. For select schools, Sarah will be able to host a live chat via satellite. Due to Sarah’s schedule these are not your everyday opportunity and she’ll be looking for schools that are already using the expedition in the classroom. If you would like to organise a live chat with your class, please contact education@sarahouten.com.